WE NEED THREE MINUTES OF YOUR TIME TO FILL OUT A SURVEY! PLEASE SHARE WITH ALL YOUR NETWORKS! CRITICALLY IMPORTANT!
. . . recognize that the Interagency Autism Coordinating Committee (IACC) sets aside time for public comment at its quarterly meetings; however, this forum does not give ample time to discuss and address the severe problems we recognize as priorities for our constituency. 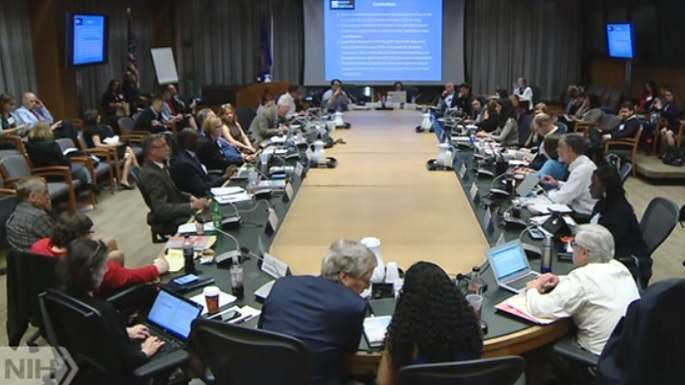 The IACC is not a mechanism for creating a Federal Autism Strategic Plan with measurable goals and objectives, and for discussing policy alternatives and best practices from programs across the country. The IACC is the venue for the public to share ideas, perspectives, and feedback, including thoughts on federal agency priorities. In addition, you are welcome to submit written public comment to the IACC. In August, we’ll be issuing a response to Dr. Wagner’s refusal to meet with us, and will forward the letter to the U.S. Department of Health and Human Services Secretary Azar. We hope that after she reads the public’s thoughts and experiences with the IACC she will reconsider her meeting and that we can used your feedback to educate others, such as federal elected officials and the media, about the IACC’s failures and limitations. Please help us in this effort by completing this short survey. Your email will only be used to ensure that each person only completes the survey once. It will not be put into any database or used in any other way without your express approval. Former TMR President Megan Davenhall speaking to the IACC in 2016. We need your honest answers—and appreciate your time and support. Please help us by filling out the survey, forwarding to your contacts and sharing on social media. This entry was posted in Blogs by Thinking Moms' Revolution and tagged IACC, SafeMinds, survey, TACA. Bookmark the permalink. 3 Responses to CALL TO ACTION: We Need YOUR Input! It isn’t just them, however. Even when they do something somewhat right (the strategic plan is not horrendous), they have no legal way to enforce their conclusions. Lyn Redwood told us about how they drafted some simple suggestions for HHS to curb wandering issues (that, let’s remember, often result in DEATH), and they took forever to adopt even a small portion of those suggestions. There was nothing the IACC could do about that. There is simply no legal requirement for HHS or NIH or CDC to adopt their recommendations. My son is vaccine injured and one of the ways I knew something was wrong was he stopped talking and started drooling a lot for the first time in his life. Really he was not able to swallow his own spit and was soaking many outfits and bibs I had to go buy every day for two years till I tried hyperbaric oxygen.